Situated close to the International airport offering Spacious rooms with modern furniture. 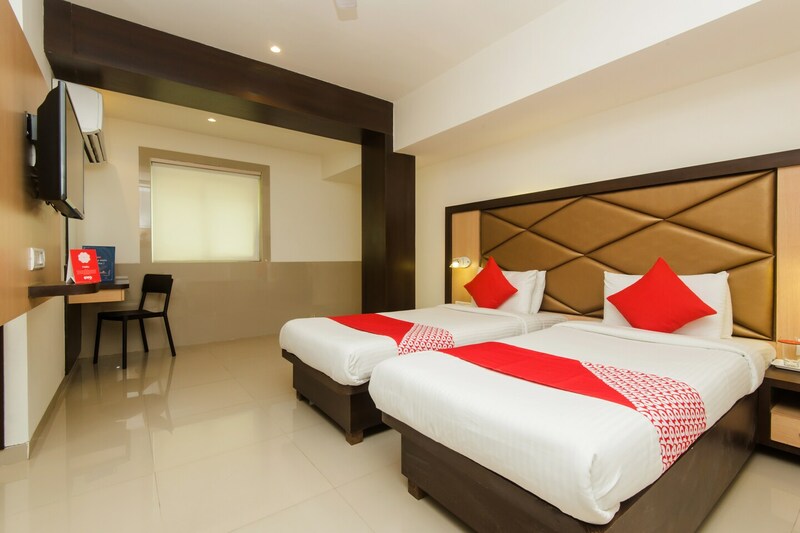 This property in Vashi in Mumbai offers convenient and well-equipped accommodation to travellers. The bedrooms are modern with amenities to make your stay goes without a hitch. The wooden accents are impressive and the cushioned headrest makes for a comfortable stay. Taking care to provide a safe and healthy environment, the hotel has CCTVs and security to look after guests. You are not far from the airport so you never have to worry about missing your flight. Other services offered by the hotel are free wifi access and laundry services. Whether youre travelling for business or with family and friends, you will find restaurants, malls, banks, and notable sights within walking distance or a short drive from the hotel.